The requirements of compact and integrated industrial products make it more difficult to produce these complicated parts. The aim of this paper attempts to propose methods of finish forging die and preform designs to produce a product consisting of a solid spur gear and cylindrical cup features. 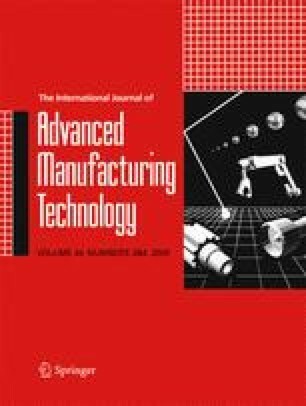 One- and two-step forming processes were proposed and evaluated using computer-aided engineering simulations. For one-step extrusion or upsetting processes, diameters and heights of billet were calculated using the product volume and the corresponding cup or gear features, respectively. For two-step forming process, Tee-shaped preform designs were proposed based on the product volume and the feature volume ratio of cup to gear; corner and fillet arcs were adopted to modify the profile of Tee and control the material flow in the finisher die. The forming processes of preform and finisher were analyzed using the two- and three-dimensional finite-element method models to predict the detail characteristics of sectional material flow and the completely three-dimensional deformation results, respectively. Experimental tests were also carried out to validate the proposed simulation models and design methods. The forming loads, the stress and strain distributions of forged part, and the occurrences of defects were studied and a suitable preform and corresponding die designs were obtained. The proposed preform designs were verified via the numerical analyses for the feasibility study. Finally, a sound gear product had been made successfully using the proposed suitable design of preform.